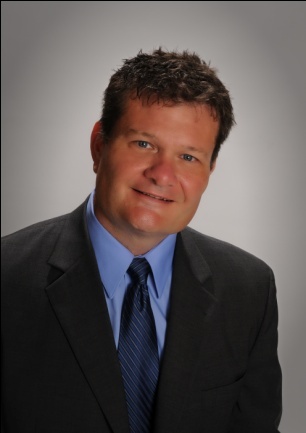 John Conklin brings SolarWindow Technologies, Inc. 30 years of industrial, commercial, and renewable and alternative energy experience, providing technical and business consulting services to more than 50 technology, manufacturing, and industrial process companies. Mr. Conklin’s client-companies have ranged from start-ups to Fortune 500 corporations, including IBM, Lockheed Martin, Frito-Lay, and TDI Power, Inc., a global manufacturer of power systems. Throughout Mr. Conklin’s career, he has actively managed both the technical and business requirements of various energy and industrial companies. In additional to technical oversight, Mr. Conklin has overseen financial management and accounting; strategic planning; product prototyping, development and distribution; productivity and profitability analyses; inventory and cost controls; and team recruitment and management. John’s specific experience with designing solar photovoltaic and thermal energy systems is a particular asset to the company as its SolarWindow™ technology, capable of generating electricity on see-thru glass windows, advances from prototype to commercialization. Mr. Conklin also has expertise with creating financial contracts which allow for economically viable, commercial installation of solar systems. These ‘Solar Power Purchase Agreements’ or ‘SPPAs’ are designed after careful technical and economic feasibility studies have been conducted by the agreement’s architect. John also brings industrial process, environmental systems design, testing, and analytical experience, which has resulted in cost savings ranging from 10-25% for numerous clients in the surface coatings industry. Surface coatings are key to the development of SolarWindow™, which makes use of special coatings which allow for the generation and movement of electricity on see-thru glass. Mr. Conklin has additional chemical surface coating experience important in the application of various coatings used in the Company’s SolarWindow™ technology. These novel coatings require technically advanced methods of application onto glass in order to retain their unique capacity to generate electricity while ensuring their proper adhesion to the glass surface. John developed similar surface coating techniques used in the fabrication of the United States Stealth Battleship prototype during his tenure at Excel Precision, Inc. These coatings were used to create frequency selective antennas, able to absorb radar signals and prevent satellite detection of the Stealth Battleship from space. At Excel Precision, Inc., Mr. Conklin developed and managed a program management team comprised of engineering, product development, quality control, and business development personnel that provided the development of these prototypes. Mr. John A. Conklin is founder and Vice President, National Solar Systems, LLC., a New York based renewable and alternative energy design and installation firm. He also founded and serves as President of Tellurium Associates, LLC., an industrial process design and operations company. Mr. Conklin holds a NABCEP (North American Board of Certified Energy Practitioners) Level I Certificate, globally-recognized as North America’s “gold standard” agency for PV and solar thermal installation certification. He routinely attends NABCEP certified training programs throughout the Northeastern United States. Among John’s interests is his continuing education in photovoltaic systems design, installation and operations at the University of Central Florida, Florida Solar Energy Center, and the State University of New York at Ulster, a noted leader in renewable energy certification and education. He has also studied chemical technology, chemical engineering, and various industrial, safety, and renewable energy programs. Mr. Conklin is a Certified Football Official and a licensed private pilot.